We’d love your help. 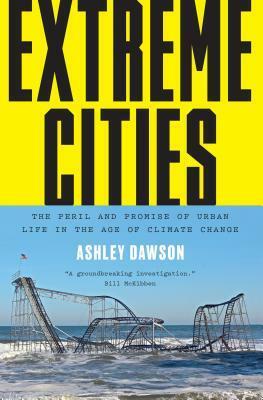 Let us know what’s wrong with this preview of Extreme Cities by Ashley Dawson. To ask other readers questions about Extreme Cities, please sign up. Very interesting book. I went in expecting to just confirm some things I already knew, but I thought the author did a good job forcing a wider view on issues of climate adaptation and resiliency. There's a tunnel vision engineer's view of "I did a good job solving this particular problem" sometimes, it's useful to have reminders that there are larger connections and equity issues at play as well. Ashley Dawson is a professor of English at CUNY, New York City. He is the author of Extinction, Mongrel Nation and The Routledge Concise History of Twentieth-Century British Literature, as well as a short story in the anthology Staten Island Noir.